Five people died and a sixth was critically injured after a fire swept through a boarded-up home in California, officials said Sunday. The victims were trapped inside the vacant property after flames blocked the only exit, Fresno Fire Department spokesman Agapito Martinez said in a statement. 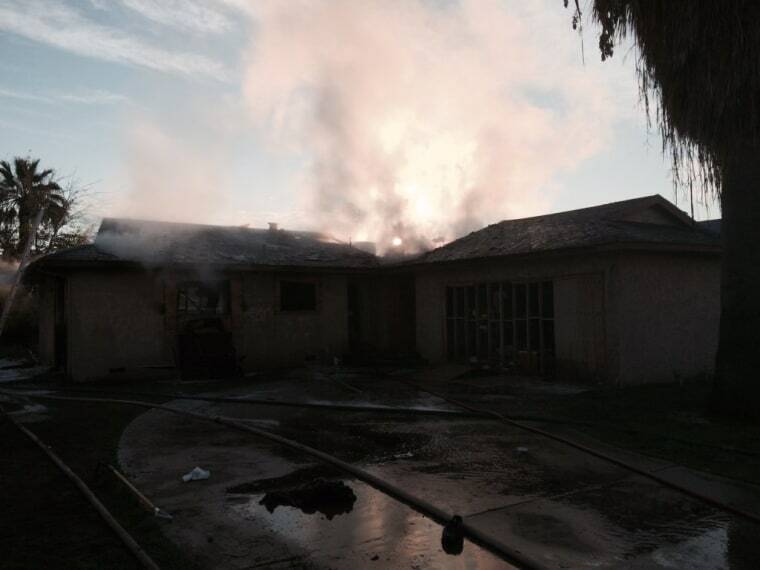 Firefighters responded to the disused dwelling just before 7 a.m. local time (10 a.m. ET) on Sunday. A 911 caller reported hearing banging coming from inside. The statement said the home was vacant. Neighbor Enrique Lara told NBC affiliate KSEE that he was woken by the sounding of pounding on the walls in the abandoned home. "All you could hear was the people inside," he said. Three of the five dead were identified by the Fresno County Sheriff's Office as Anthony Zavala, 37, Irene Hinojos, 36 and Monique Amaral, 28.